Eastern Plumas Health Care encourages our local patients to return here if they need post-hospital care. We know you or your family member will recover more quickly close to home, where friends and family are nearby. Rehabilitation patients at EPHC receive personalized care that is impossible in a larger, urban setting. Our nurses understand that each recovering patient has a unique history and individual needs. Most of our staff lives locally and has many years of experience caring for the members of our small, mountain community. Along with extensive medical experience, EPHC’s nurses know how to make our rehabilitation patients feel at home. Our skilled therapy team develops an individualized plan to restore each patient’s activity level and encourage independence. Our staff to patient ratio is much lower than that in larger hospitals. Personal attention comes first in our view, but privacy and comfort aren’t far behind. 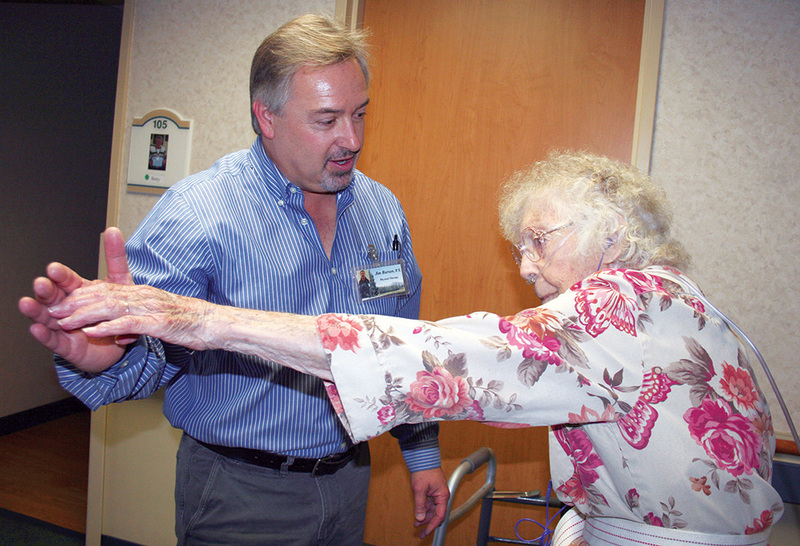 We offer physical and occupational therapy, all in the beautiful surroundings of our Sierra mountain location. Should our patients require additional medical care or treatment, it is immediately available. We have a 24 hour, physician staffed ER just a few steps away from our skilled nursing/rehabilitation facility in Portola. We process most lab work right here at our hospital, and we offer state of the art digital radiology services, including x-ray, ultrasound, mammography, and CT scans.